One of the most helpless feelings is knowing that the return of Jesus is near and that there are people you love who are spiritually unprepared. Only those who are sealed by the Holy Spirit (spiritually born again) will be caught up to the throne of God to follow the heavenly track known as the “Day of Christ“. Those left behind on earth will face unimaginable horrors during the “Day of the Lord“. While this will be the most difficult period of time known to humanity, have courage. God needs witnesses during this time, and how do you know that God has not prepared and elected your loved one specifically for this time and purpose? The Bible tells us that this time of trouble will come suddenly and unexpectedly, “like a trap“, “birth pains“, “a thief in the night“. It appears that it will be marked by sudden worldwide earthquakes, volcanic explosions, and tsunamis. The church will be snatched up to heaven immediately as this begins, so you don’t need to prepare for yourself if you are a believer. However, those left behind will need food, water, shelter, medicine, and clothing. Even more important than these, however, is eternal salvation. Pray that God would elect them for eternal salvation in His Kingdom. I don’t pretend to completely understand how the whole free will / election interacts to bring someone to Christ, but I don’t believe we need to fully understand it to ask God to elect our loved ones. I have an article written about Salvation During the Tribulation you may wish to print and leave for them. Pray that they would survive the catastrophic events that will likely surround the rapture/seals opening. Pray that they will survive long enough to repent and be saved. Pray that God would open their eyes to see through satan’s deception. We are told in 2 Thessalonians 2 that satan has a grand deceptive plan that will kick into place as soon as the Restrainer (Holy Spirit through the church) is removed. He is preparing it right now as I type this. Pray that God would have mercy on their souls and spare them from His deluding influence (2 Thessalonians 2). Ensure you have a Bible available for them to find. Consider flagging the books of Revelation, Matthew, and Daniel. It would be helpful to leave information on what to expect; what will be coming upon the world. It’s entirely possible they won’t have electricity (no email, internet, phones). So try to have a book (my #1 suggestion would be When God Intervenes by Douglas Berner), printouts (webpages), or this book (Red Moon Rising by Peter Goodgame) and this one (Understanding Revelation by Jack Kelley) is available for free online and you could print it. No one currently understands these things perfectly, but these are good resources to have on hand to help them interpret events as they occur. Clean water will be scarce. Purchase some bottled water and keep it in a secure location. Fill freshly washed water storage containers with clean tap water and store these securely as well. 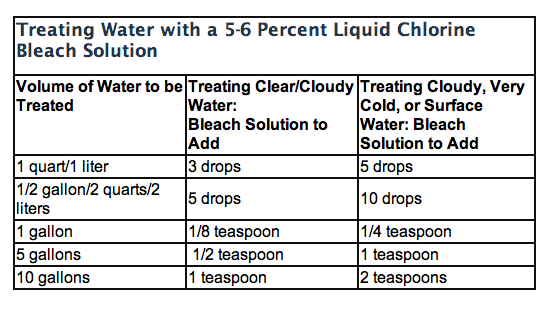 Add bleach as per the chart below. Ideally you want at least 1L of water per person per day, but they will have to ration. Consider buying a water sterilization pen/system. Consider buying a standalone water filtration system (I chose a Brita jug with filters). This won’t take out bacteria, but it can remove ash and larger particles from rainwater, snow, etc. Consider buying rain collecting barrels. Ensure there are clean cloths (this can even be torn up old cotton shirts) to filter water through. I believe we are given clues as to what days the rapture might be more likely to occur than others, although we may truly not know the day until that day. However, on “high watch days”, I fill all our freshly cleaned and rinsed bathtubs with water. Squirrel away high nutritional value foods that store well and don’t need cooking. I also laid my hands on and prayed for our fruit trees/shrubs to be spared, that they would provide sustenance throughout the coming times of trouble. Pray that their shelter (house where they live) would be specifically spared from the events of the Rapture / Seals opening (earthquakes, volcanic eruptions, tsunamis). If you can, go through their (your) house and anoint every doorframe and every window with olive oil (I make a cross) as you pray. Dedicate each room and level to God to use for His plans and purposes. In our basement I asked God specifically that not a crack to the foundation would occur. On the main floor I asked for all walls to be secure. On the top floor I prayed for not a shingle to be touched. All this I prayed in the name of Jesus Christ, so that the gospel could be declared and the house would bear witness to God for His glory. Pray that your loved ones will have access to shelter throughout the coming times of trouble. It is likely that your loved ones have access to clothing, as that’s quite plentiful in most countries these days. Ensure they have standard clothing in correct sizes, taking into account growth (kids – we just don’t know if kids of unbelievers will be taken) and weight loss (due to famine). Ensure there is clothing available that would be useful in the event of colder weather (ash in the atmosphere can drop temperature considerably). Boots, coats, mitts, hats, etc. I’m sure you can find other survival lists on emergency prepping websites. Many of these things are good to have on hand all the time anyways, as you should be prepared to survive 72 hours completely self-sufficiently in the event of power outages, severe storms, etc. I would try to prepare for at least a month of supplies. Basically you want to think about a worst case scenario and basic survival. Anticipate having no electricity and no way to contact anyone or obtain anything. Then throw in a bunch of crazy people and unpredictable weather. There will be natural disasters but also dead bodies, infectious disease, and lack of sanitation. Preparations will only last so long. Pray that your loved ones won’t be deceived, and will repent and be saved. Again, don’t be discouraged, but have faith. Where the gospel is preached, God’s Spirit moves. The book of Acts is a great record of this! Pray that your loved ones will be anointed with the Holy Spirit to preach and teach the gospel. Pray for endurance and faithfulness and the salvation of many through their witness. I really feel like God laid on my heart something I call the “Elijah Box”. In a time of severe famine and drought, God provided for Elijah supernaturally through a jar of flour and jug of oil that miraculously refilled day by day. He provided in this way after all hope was gone. I am sharing it here in case God will relent and spare those we love through supernatural means, for the sake of His glory and of His kingdom. We know that some saints will survive and make it through the time of tribulation to enter and repopulate the Millennial Kingdom. Perhaps the ones we love have been elected for this purpose – and what a great purpose that would be!!! Instructions stating that the contents are to be consumed each day, then all empty packaging/bottles should be put back in and the box closed every night. They should pray over the box each night, trusting God to provide for the next day. Replace all contents every night and close box. On the top of the box I believe I am to write “Holy to the Lord”, as well as strict instructions to only open when all hope is gone. I will tie it shut with a ribbon. If you prepare a box like this for your loved ones, it doesn’t have to include the same contents. 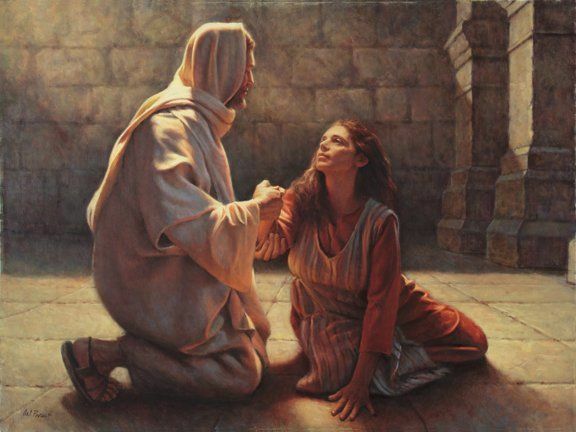 God provided oil and flour for Elijah and the widow. I was just trying to pick basic things that provided protein, vitamins, and carbs. Once you have filled the box, anoint it with olive oil and pray over it. Pray like you have never prayed in all your life. Then set it aside, hidden somewhere safe, to be found after you are gone. Pray fervently. Pray passionately. Pray with all the faith God has given you. Jesus is near, at the very gates. ← Is Planet X (Nibiru, Planet 7X) the Dragon of Revelation 12? But what about us that rent? Live in Apartments? I have so many books, christian material. Even wrote notes. But after the rapture I would assume landlord will remove everything. I live alone. Just wondering. And I dont know where my two grown children are. One is married and addicted to meth. Running up last I heard. Would like to somehow let her know where any resources I could give them, assuming they are left behind. Any suggestions? Their four children have been adopted. I wasn’t told till too late. They are all together thank God. They live in another state. I have grieved do much. But I will soon see my grandchildren again!! Praying parents as well.